Originally from Somerset Frances moved to Cornwall in 1998. Frances had worked with clay for a number of years making hand modelled figures and animals, her work changed dramatically after studying HND ceramics and design at Cornwall College, Camborne. Frances uses a white earthenware clay and her work is slab built, from a flat piece of clay she cuts out her desired shapes before assembling the pieces together. 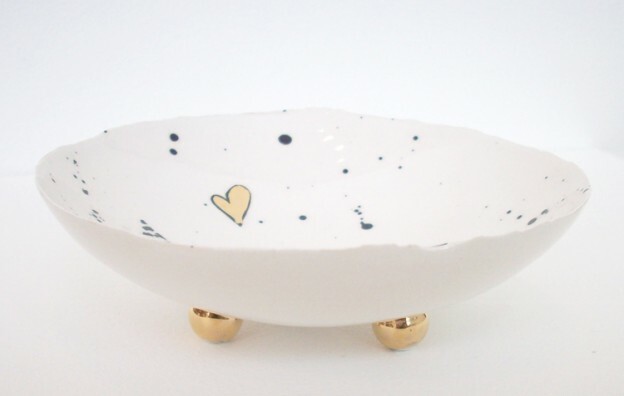 Underglazes, glazes, stains, oxides and gold lustre are all used to decorate her work, each piece is fired 2-4 times. To see more of Frances Spice’s work, please click on her tag in the right hand column.